If the mention of rap and rock in the same sentence brings to mind Kid Rock, then this SXSW showcase isn’t for you. For those who aren’t quite as close-minded, Rap Rocks! 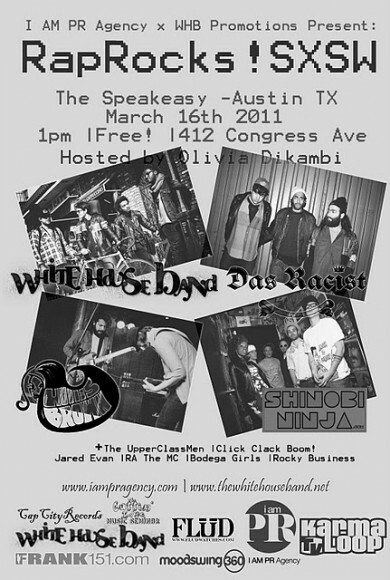 SXSW is the place to be, featuring the likes of Das Racist, The White House Band, Shinobi Ninja and more.